There are two main reasons you should have your air system cleaned. First, you and your family (or employees) will be breathing cleaner air. Is there anything more important than the health of your loved ones and employees? Secondly, having a clean air system saves money on your energy bill. A clean air system runs more efficiently and reduces costs for heating and cooling your home. Does your air system need examined? Do you have a buildup of dust in your home? Do you have increased energy bills? Does anyone in your home have breathing problems or allergies? Do pets live in your home? If you said yes to any of these questions, then you need professional air duct cleaning! 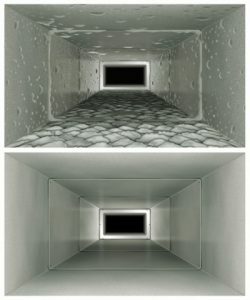 Call us now for a FREE estimate on your air duct cleaning needs. We provide a 100% satisfaction guarantee on the workmanship we offer. As a locally owned and operated company, you can depend on our team for exceptional service. We are a locally and family-owned business serving the greater Athens and Lancaster areas.